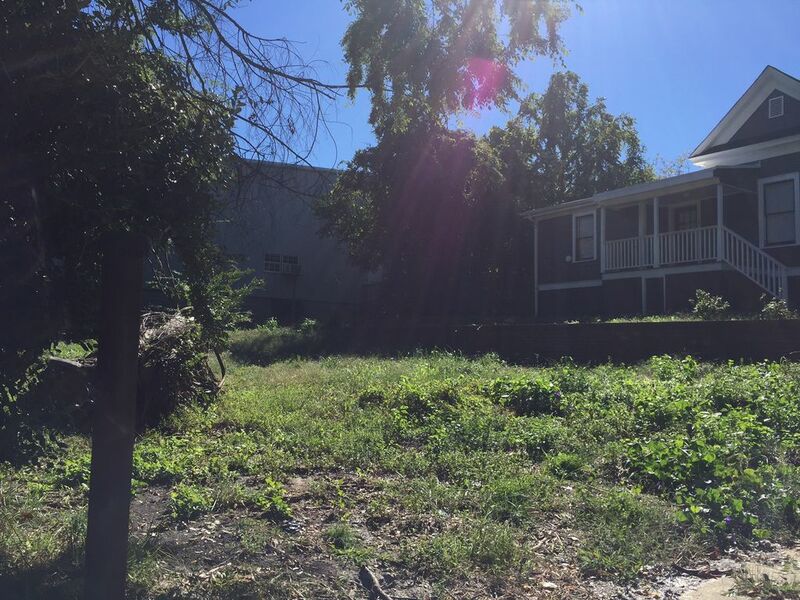 The long-vacant lot at 609 South Mendenhall has been put up for sale by its owner, the College Hill Neighborhood Association. The city has confirmed that the tiny lot (3,320 square feet) is buildable. The neighborhood association will place a deed restriction on the lot, requiring that the property must be owner occupied (i.e., the property must be the principle residence of the owner of record). The house will not exceed two stories above grade. Maximum house width will be thirty-five feet. Parking will not be located within the front yard setback. The house will have a front covered porch. The purchaser/s will obtain approval of the house and site development plans by Historic District Commission and any other approvals required by other city agencies. Before closing, the purchaser/s will submit evidence satisfactory to the CHNA board of sufficient financing to construct the house and site improvements. After closing, the purchaser/s will begin construction within six months of closing and obtain a Certificate of Occupancy from the City of Greensboro within 24 months of closing. The lot has been advertised on zillow.com and craigslist.com since October 10. The neighborhood association is accepting bids on the property through Sunday, October 23 Saturday October 22 [updated 10-19-2016, 1:46 p.m.] A decision on a sale could be made as soon as the monthly board meeting on Monday, October 24. This entry was posted in City Government, College Hill Neighborhood Association, Mendenhall Street, Real Estate. Bookmark the permalink.